Bentley's renaissance was prompted when Volkswagen took the reigns of the fabled marque in 1998, injecting the 91-year-old brand with modern engineering and style elements. But a small chorus of purists complained that there was too much platform sharing in the nouveau Bentleys and that details like the immediately identifiable metallic VW shift gate betrayed the brand's storied heritage. Enter the new Mulsanne, the first "true," all new from the ground up Bentley in 80 years—which reflects a complete vision of the British brand through the prism of VW's engineering, design and research and development prowess. Starting at a breathtaking $285,000, the Mulsanne's optional equipment list is short, but its customizable variables are nearly endless; this isn't a mass-produced, off-the-shelf car, but rather a bespoke sedan with impeccable details that make the six-figure Mercedes-Benz S-Class and BMW 7 Series seem ordinary in comparison. What's not to like? From its edible interior and sweeping lines to its effortless power and quiet composure, the Bentley Mulsanne exudes an air of calm, stately elegance. Onlookers may make their own judgments about the overinflated egos of Mulsanne drivers, but with all that sound insulation inside the cabin, who cares about those chattering, jealous types? Let them eat cake! 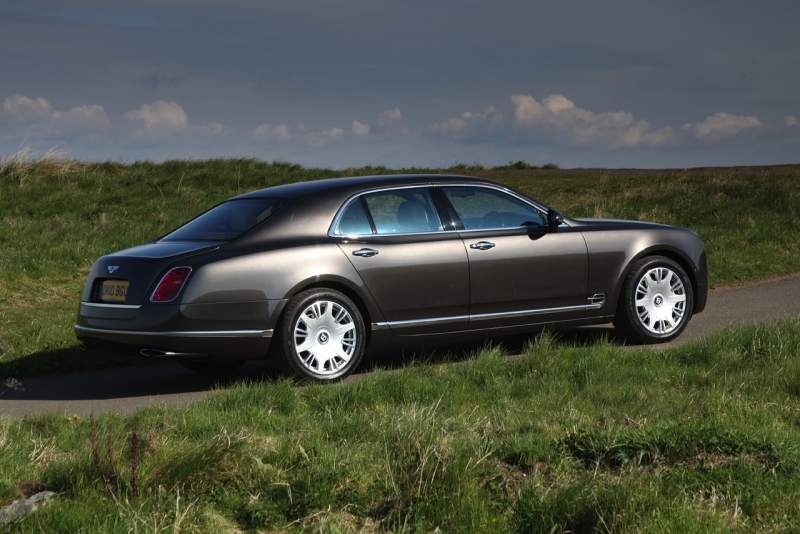 As luxurious as the Mulsanne may be, this three-ton sedan may strike some drivers as a bit too dear for daily use. Though we love plush interiors and paint finishes that look like they're three feet deep, exposing those delicate surfaces to the harsh world of belligerent drivers and unforgiving weather saps some of the enjoyment from this beautiful machine. Climb into the driver's seat of the Bentley Mulsanne, and you're presented with a large, imposing steering wheel clad with the traditional "Flying B" logo, analog counterclockwise sweeping speedometer and tachometer dials and a knurled shift knob that feels delightfully old school. Shift into gear, and the twin-turbocharged V-8 makes nary a peep as you ease effortlessly off the line. Power, from virtually any engine rpm, comes on with immediate and gratifying propulsion. The eight-speed automatic transmission seamlessly diverts that power to the rear wheels, and the suspension, which can be set to one of three levels, soaks up most road irregularities, especially in "Comfort" mode. Though there's some vagueness to the Mulsanne's steering feel, the car's plus-sized body is sufficiently controlled in turns, thanks to the air suspension's independent control of heave, roll and pitch. Most impressive is the Mulsanne's sound deadening and larger-than-life road presence, which makes 100 miles per hour feel like 50. The 2011 Bentley Mulsanne is powered by a twin-turbocharged, 6.75-liter V-8 that produces 505 horsepower and a locomotive-like 752 lb-ft of torque, which peak at a lazy 1,750 rpm. The hand-assembled engine takes 30 hours to build, with a weight variance of less than a gram. The Mulsanne's transmission is an eight-speed unit that features the first use of paddle shifters in a Bentley. More impressive than any single feature on the Mulsanne is the amount of craftsmanship that goes into its assembly. Though robotized welding ensures strict tolerances and consistency, almost all other aspects benefit from the human touch, including the numerous wood veneer surfaces, hand-stitched leather and polished finishes. When a Mulsanne nears the end of the assembly line, it will have undergone no fewer than 2,000 quality control checks before completing a shake rig and final rolling road test. Though the Mulsanne is primarily hand built in an old world tradition, there's no shortage of high technology discreetly embedded in this steed. Behind an electrically operated, veneer-covered door on the top section of the dashboard is an eight-inch multimedia screen mated to a 60-gig hard drive. Two SD memory cards can be loaded with music or images, and the standard stereo is a 14-speaker, 2,200-watt Naim audio system boasting the most powerful amplifier of any production vehicle. Apple lovers will also appreciate the leather-lined iPod storage drawer. You might not associate big Bentleys with any sort of economy (let alone fuel thriftiness), but the new Mulsanne manages a 15 percent improvement in efficiency over its predecessor, yielding an estimated 11 mpg city and 24 mpg highway. Those figures are aided by a variable displacement system, which enables four cylinders to be automatically (and imperceptibly) shut off at cruising speeds. 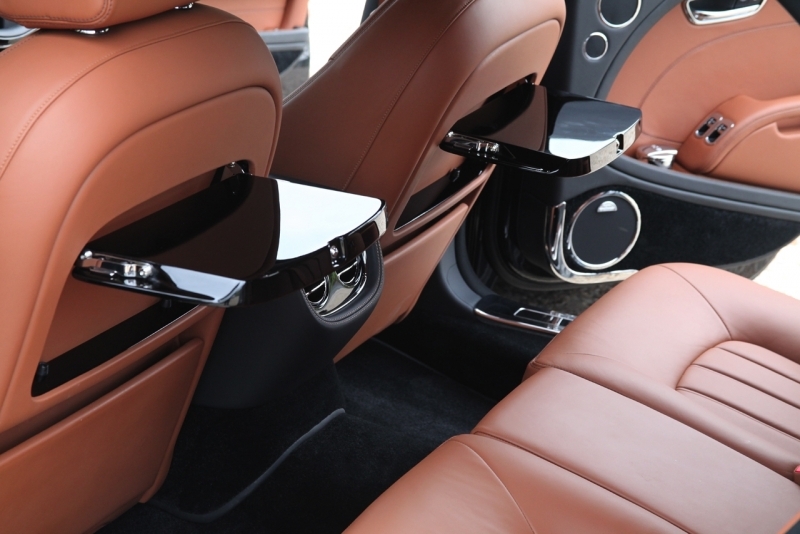 There's a decidedly rich, authentic feeling within the Mulsanne's cabin; the wood wears a mirror finish, the leather feels like a baby's bottom, and it takes a small army of specialized craftsmen 140 hours to assemble and finish this space, including 10 hours to hand polish the stainless steel surfaces and two days to hand stitch the leather-wrapped steering wheel. Surrounded by an uninterrupted "ring of wood," the Mulsanne's interior doesn't feel quite as spacious as you might expect, but it certainly feels posh. Dominated by massive, jewel-like headlights and Bentley's traditional matrix grille, the Mulsanne presents a bold, unapologetic face that sweeps into a gracefully styled body. Buyers are offered a choice of 115 colors for the Mulsanne's six-layer, double-lacquered paint, but if those options don't tickle their fancy, they can also have a hue custom matched. 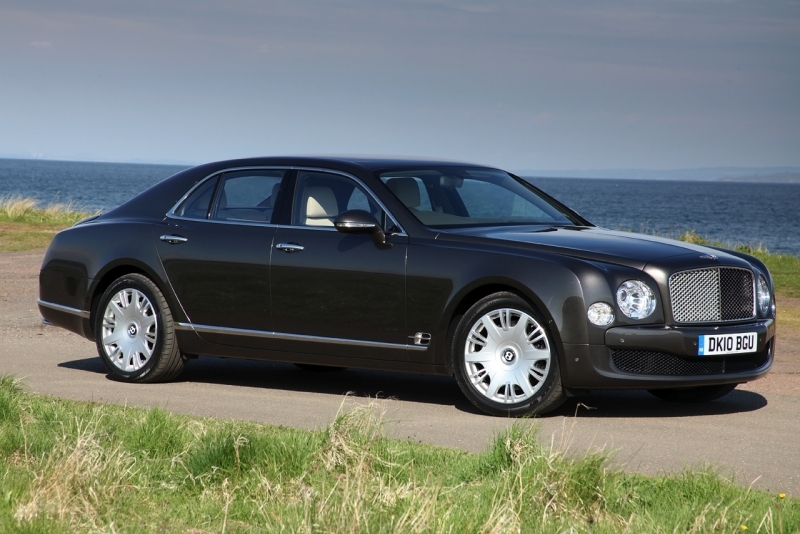 The 2011 Bentley Mulsanne starts at $285,000 and tops out at roughly $30,000 above that figure. As pricey as that might sound, the Mulsanne actually slots between Rolls-Royce's entry-level Ghost ($245,000) and the spendier Phantom ($380,000). Maybach's 57 ($366,000) and 62 ($417,000) also out price the Mulsanne, while the $197,850 Aston Martin Rapide looks like the bargain of the century in comparison. But in an apples to apples sense, the Bentley Mulsanne is commensurately priced with its ultra-luxury competitors. There may be a strong stigma against large, outrageously priced sedans, but after a day spent driving the Bentley Mulsanne through the Scottish countryside, no less, we walked away lulled by its luxury and smitten with its sensuality. If you can appreciate the rare combination of craftsmanship and comfort found in this living room on wheels but are skittish about being seen in such an ostentatious ride, consider tinted windows, large sunglasses and/or a big floppy hat; the Mulsanne is simply too tasty to pass up.